MULTI COMPANY ACCOUNT | Synconics Technologies Pvt. Ltd.
companies, currency, users and journals. Beautiful user interface: A fast and modern user interface your users will love. Based on Google Material Design trend. Mobile: Get an instant access to all accounting features, wherever you are, on tablets or smart phones. Automate payments & letters: Post invoices automatically by regular mail or email. No need to print and post invoices, it's automated. Collaboration & Alerts: Follow what interests you and get automatic alerts, collaborate on documents easily. 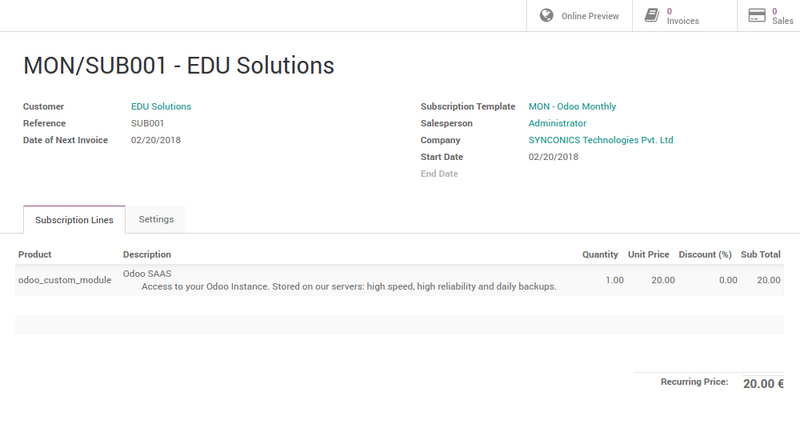 Reduce data entry: No need to create invoices manually, print and send them, register bank statements, follow-up payments, Automate more, save time. 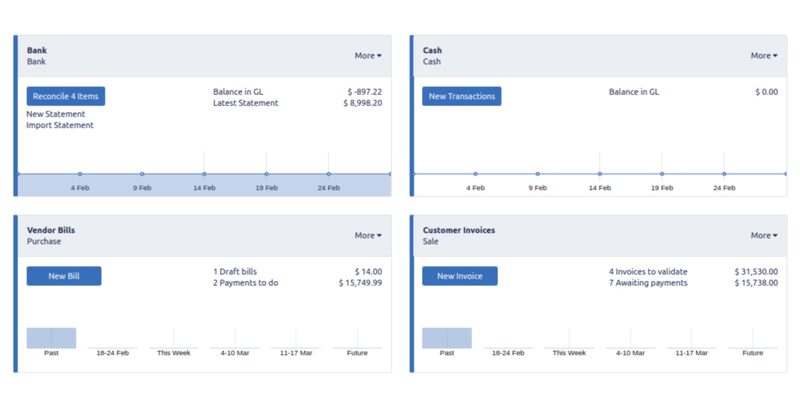 Bank Interfaces: Get your bank statements automatically synced with your bank. Save time with Automated reconciliation. One ERP environment for multiple companies: Manage multiple companies within a single ERP environment. Multi-currency support: Get your currencies rate updated automatically every day. Multi companies: Create credit notes and manage reimbursements. 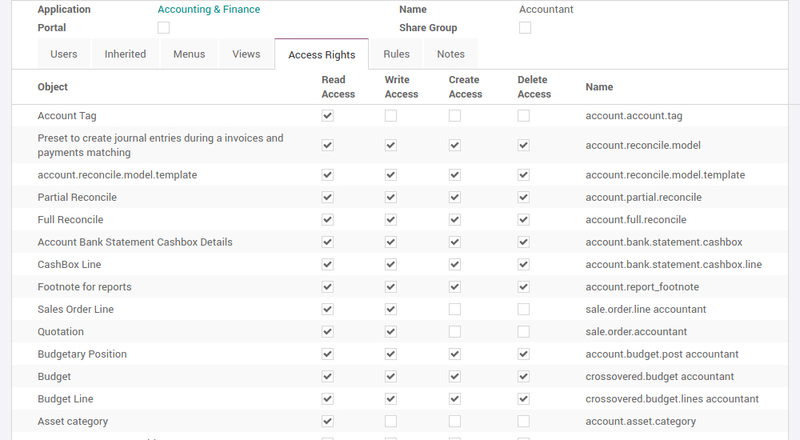 Multi-company rules: Get all your subsidiaries integrated in the same system with consolidation reports in real time. Automate business flows with inter-company rules. Multiple users: Define as many users as you want with different access rights. Multi Journals: Organize your document into several journals (by departments, by type of activity) to split roles across several users. Use a single ERP instance to synchronize operations between different companies or warehouses. 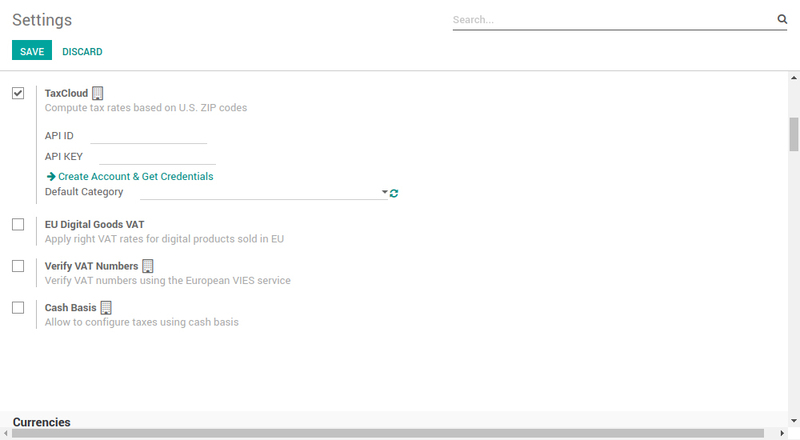 Create sales orders, share customers, suppliers and products and manage invoices for all companies at the same time. You can save even more time by automating the invoicing process between all the companies. 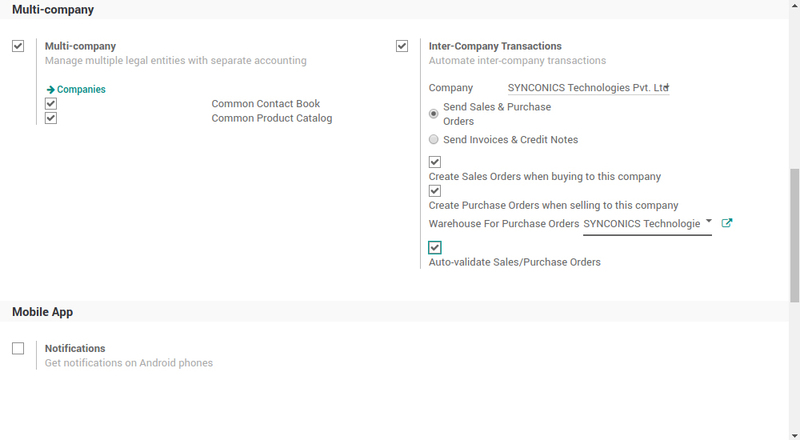 Automatic reconciliation between companies: Save huge amounts of time and effort on all transactions made between your group’s companies - transactions are automatically reconciled in all modules, for example, automatically mirror sales orders and purchase orders in multi-company setup. Automatic Invoicing: Manage subscription and recurring revenues easily with contracts. Automate recurring invoices, payments and renewal alerts. Renewal alerts: Your salesperson get automated alerts when contracts have to be renewed. Access Control Lists: Access rights are super flexible. 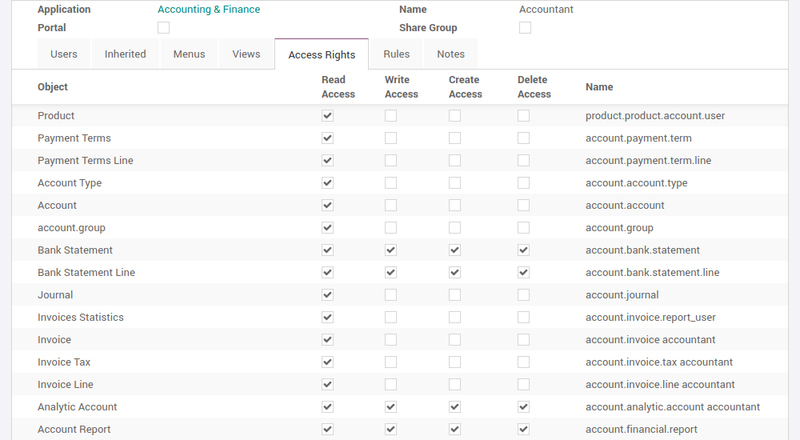 Default configurations are already setup for accountants and advisers. Optional validation process: Mark miscellaneous operations to review. It allows your adviser to ask the adviser to review key journal entries. Google spreadsheet integration: Connect Google spreadsheet to ERP to create your own dashboard in your favorite spreadsheet pulling data automatically from ERP. Very useful for budgets, commission plans etc. Flexible Import-Export: Use the built-in import-export tool to mass import or export. You can export then import the same data to mass update through excel sheets.